in this collection of stories from Rajasthan. 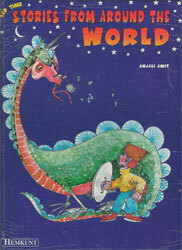 A collection of folktales from around the world. 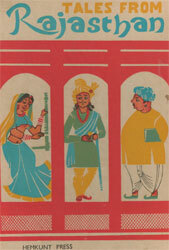 My first book is a collection of Indian tales. Then the travel bug hit, hard, but the love of books stayed constant. The second is a gathering of folktales from around the world. Beyond the utmost bound of human thought." My home has almost as many books on the shelves as there are stars in the sky. So I may just have morphed from a traveller to a book evangelist who will cheerfully buttonhole you with the next best book you absolutely HAVE to read. This site is a way to share that love.